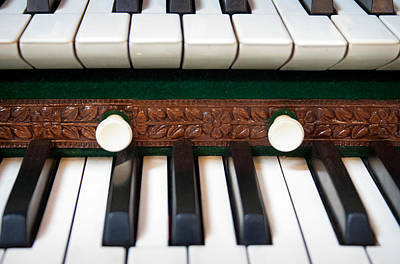 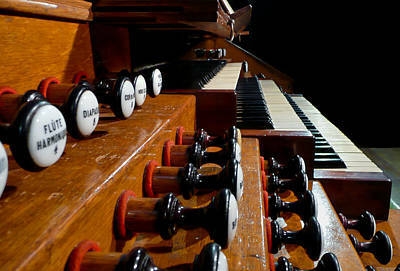 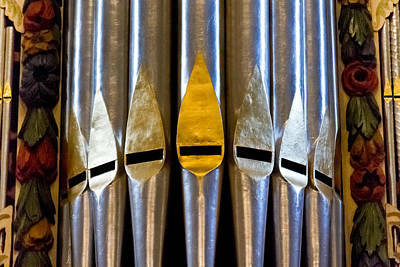 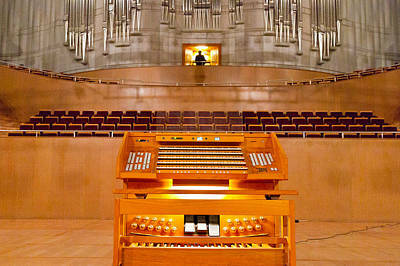 As impressive as so many pipe organs are from a distance, closer up much of the instrument can be equally fascinating. 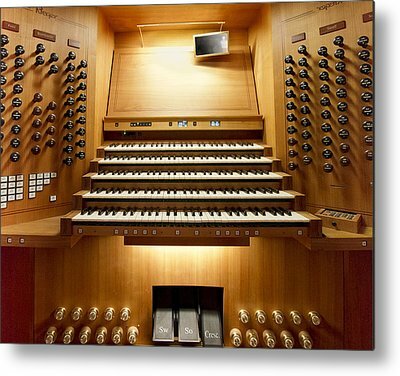 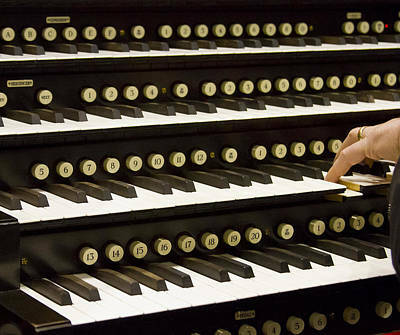 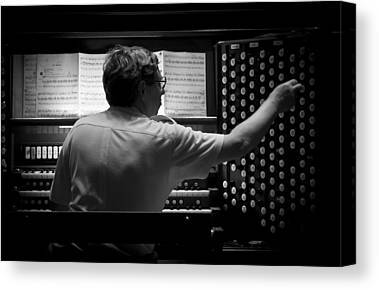 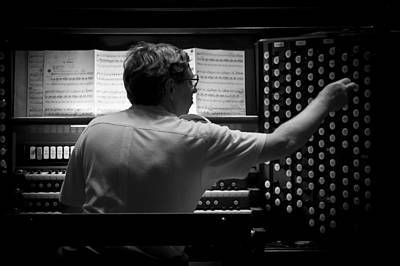 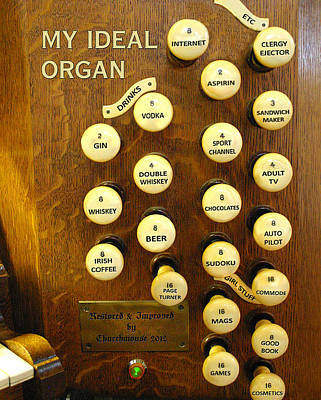 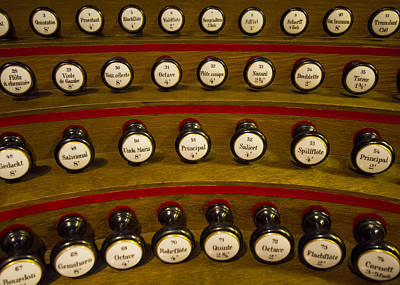 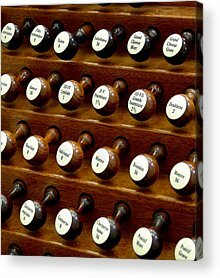 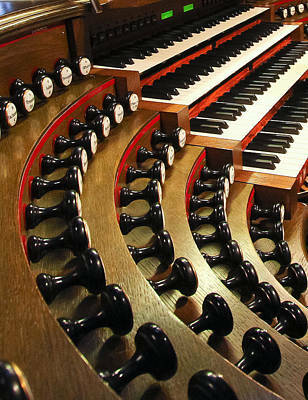 It is especially so around the organist's 'dashboard', which is called the console. 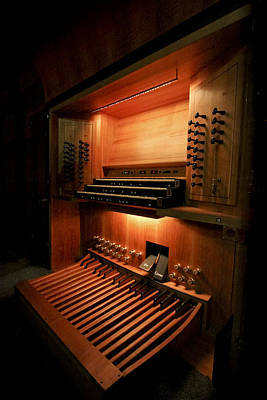 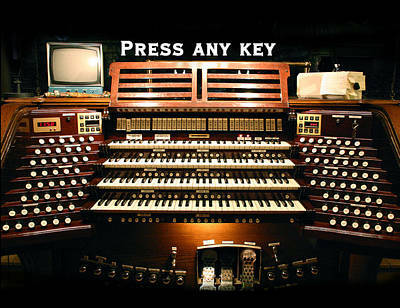 This houses the stops, the keys and the accessories which the organist uses to operate the King of Instruments. 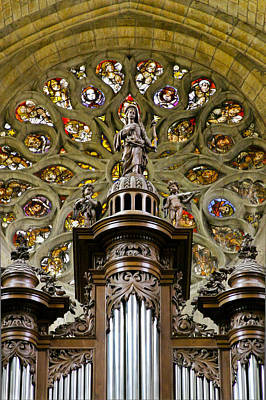 The 'Close to the action' gallery comprises a collection of shots giving a closer look at the organ: the front pipes, the elaborate carvings of the case and statuary such as angels, and the console. 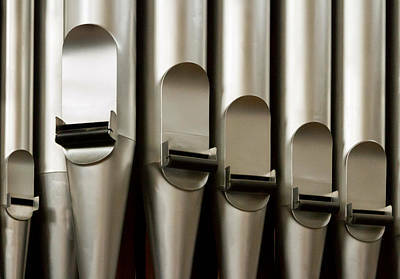 As a bonus, keep in kind that the mechanism which transfers the movement of the notes to the pipes is known as part of the "action", so the title here is particularly apt.